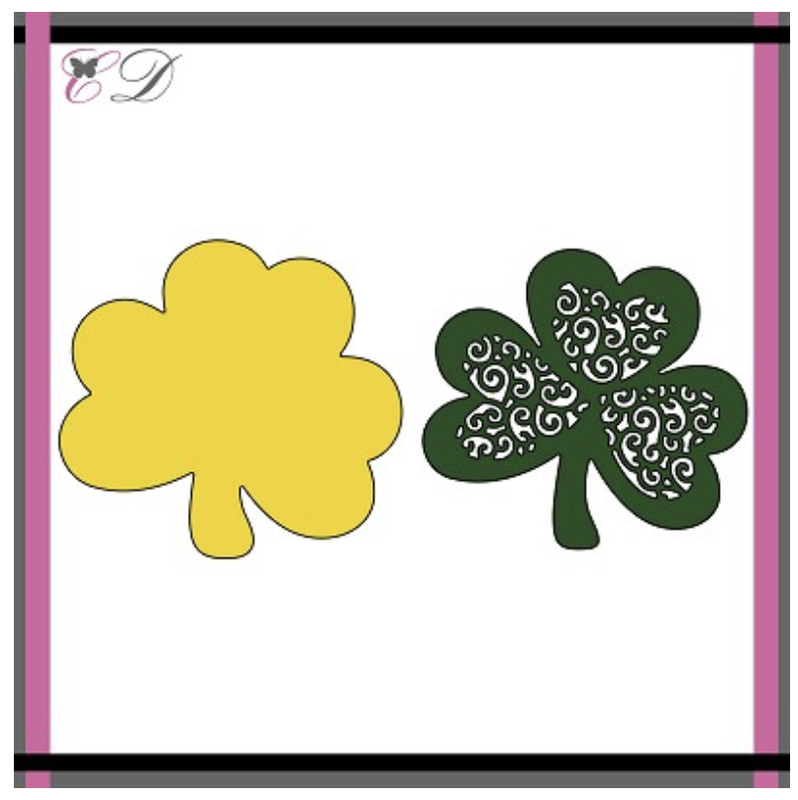 Anne here with the perfect card for St. Patrick's Day tomorrow. 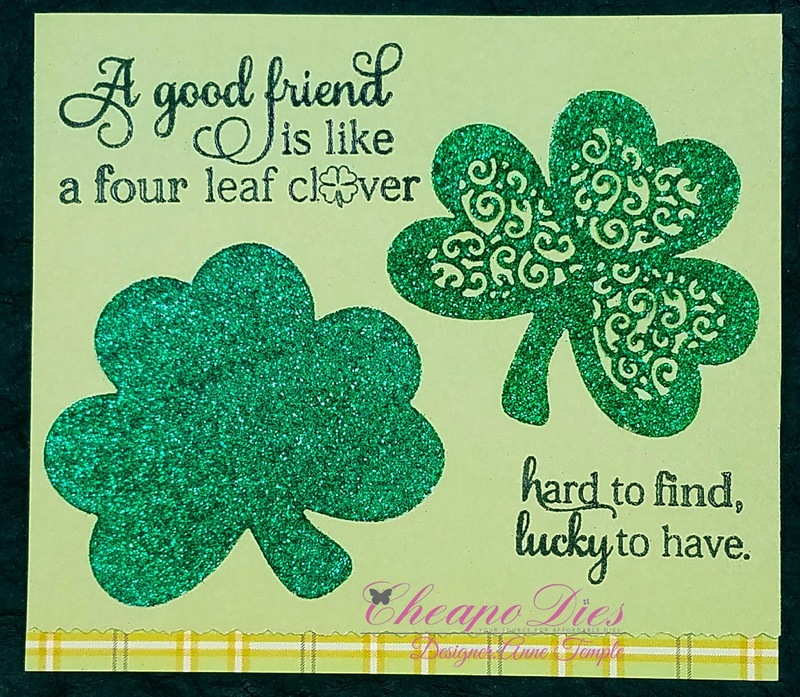 I used the Fancy Clover two piece die set to create this very quick and easy card. I die cut each piece from white cardstock and used the glueless glitter technique to add Elegant Emerald glitter to each piece. You could have also used a double sided adhesive sheet as well. The double sentiment was stamped with Black ink and heat embossed with clear embossing power for added dimension and gloss. The bottom of the card base was cut using a deckle cutter and I added a strip of patterned cardstock to the bottom. 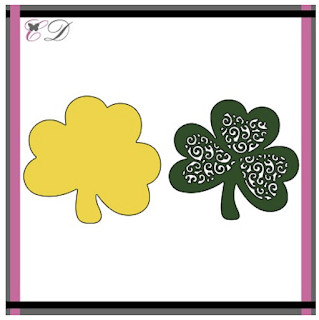 This super quick CAS card is perfect for St. Patty's Day. It may be simple, but the bling from the glitter is amazing! For more details, please visit my blog, Anne-Made. 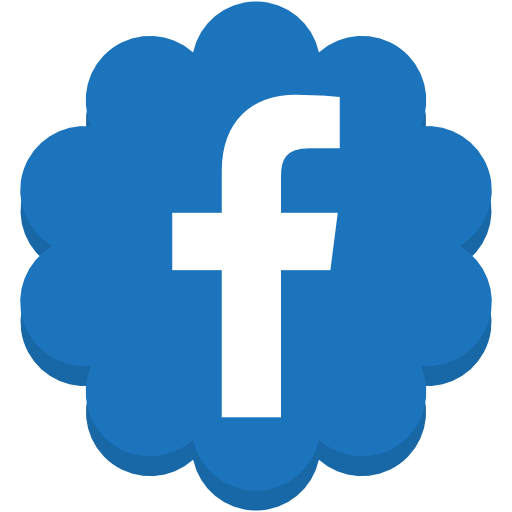 Be sure to come back regularly to see what the rest of the team has created for your inspiration. Fabulous card Anne, and love all the glitter added and of course the perfect sentiment! 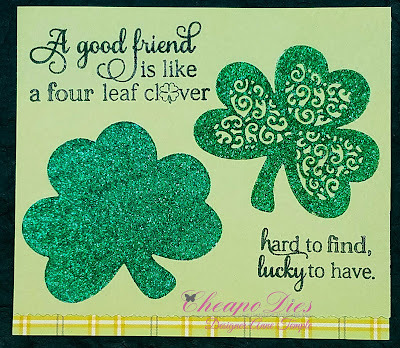 I love this pretty card and your use of that wonderful die. what a great sentiment and card!